• A companion piece to “Reds“(1981) planned by actor-director Warren Beatty. • John Malkovich and partner Russell Smith attempt in 1993. • The adaptation planned by Allen Hughes and Albert Hughes who wanted Johnny Depp in the lead. • A Brian De Palma-directed biopic with Touchstone which fell through because of the $80 million price tag. • In January 2000, it was announced that Milos Forman was to direct a biopic with Edward Norton as Hughes and a script by Scott Alexander and Larry Karaszewski. • In January 2002, Jim Carrey and director Christopher Nolan tried to start the project with Castle Rock Productions but it didn’t get off ground soon enough to beat Scorsese’s movie into production. 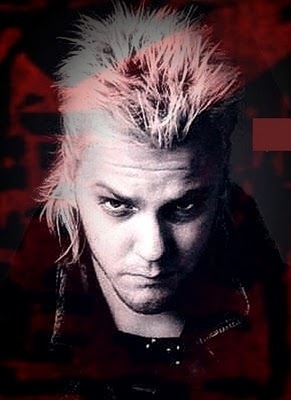 2: As David in “The Lost Boys“, Kiefer Sutherland was only meant to wear black gloves when riding the motorbike. However, while messing around on the bike behind-the-scenes, he fell off, breaking his arm so he had to wear the gloves through the whole movie to cover his cast. 3: In “Blade Runner“, Ridley Scott and Jordan Cronenweth achieved the famous ‘shining eyes’ effect by using a technique invented by director Fritz Lang known as the ‘Schüfftan Process’; light is bounced into the actors’ eyes off a piece of half mirrored glass mounted at a forty five degree angle to the camera. 4: While filming “The Last Samurai“, Tom Cruise narrowly escaped potentially fatal injuries after a sword was swung within one inch of his neck. He and his co-star Hiroyuki Sanada were acting out a sword fight scene when the incident happened. Sanada swung a sword at Cruise who was on an off-camera mechanical horse at the time. But the machine reportedly malfunctioned and failed to duck at the right moment. Sanada stopped the blade just one inch from his neck. 5: In preparation for his role in “Lawless“, Shia LaBeouf drank moonshine in order to gain as authentic an appearance as possible. By his own admission his drinking and over-aggressive attitude caused co-star Mia Wasikowska to try and leave the film. 6: Nicolas Cage was originally considered for the role of John Bender in “The Breakfast Club” but the production couldn’t afford his salary at the time. John Cusack was originally cast as Bender, but director John Hughes decided to replace him with Judd Nelson before shooting began. 7: Stanley Kubrick would reportedly call Stephen King at 3am to ask him questions about “The Shining“. According to King, one famous exchange had the director ask the author, “Do you believe in God?”. When he replied in the affirmative Kubrick yelled “I knew it!” and slammed the phone down. 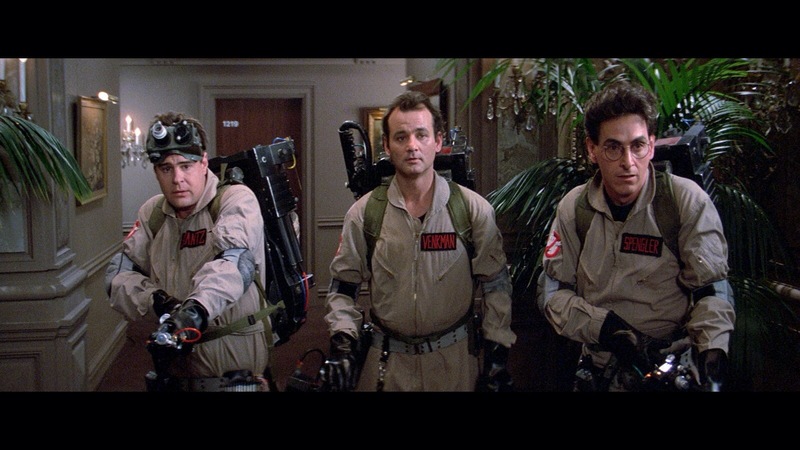 8: According to Ivan Reitman and Harold Ramis, in Dan Aykroyd’s original rough draft of “Ghostbusters“, the story was going to take place in the future and that there would be teams of Ghostbusters like there are paramedics and firefighters (thus explaining basing the Ghostbusters HQ in a fire station). According to Reitman, such a film would cost “at least $300 million in 1984 dollars”. So Harold Ramis was brought in to rewrite the script and bring it into modern times. 9: Singer and Actress, Courtney Love, insists that the role of the heroin dealer, Lance (played by Eric Stoltz) in “Pulp Fiction” was offered to Kurt Cobain. Quentin Tarantino has steadfastly refuted this claim, saying he never even met the late Nirvana singer. Kurt Cobain did thank Quentin Tarantino in the liner notes to “In Utero“, allegedly due to the musician’s love for “Reservoir Dogs“. QT returned the favour in the “Pulp Fiction” soundtrack notes by thanking Nirvana. Sadly, the timing of the release meant the thanks were followed by ‘RIP Kurt’. 10: According to Guy Pearce on the DVD commentary of “L.A. Confidential“, he attended a James Ellroy one-man show in his native Melbourne, Australia while the film was in pre-production. Pearce notes that during a Q&A session following Ellroy’s performance, an audience member asked if any of Ellroy’s books would ever be adapted into film. Ellroy replied that not only was L.A. Confidential in pre-production, but two Australian natives (Pearce and Russell Crowe) were cast in the film. The audience erupted into laughter, thinking that Ellroy was playing a wry joke on the audience by randomly naming two local actors and claiming they were cast in a big-budget Hollywood film. Pearce, who was sitting in the audience, was mortified. It was only a year later, that the audience learned that Ellroy was, in fact, telling the truth. This entry was posted on September 30, 2013 at 1:14 pm and is filed under Uncategorized. You can follow any responses to this entry through the RSS 2.0 feed. You can leave a response, or trackback from your own site. Great, great read! Love these things. Several of these stand out. Nix Cage as Bender? NO WAY!!! Also, very cool fact about The Lost Boys. I gotta admit its one of my favorite films from the 1980s. Thank you bro! Always a pleasure to get some positive feedback on these. Yeah, Cage as Bender… Not sure if that would have worked or not. I’m a big fan of The Lost Boys as well. Loved that movie when growing up. Wow, maybe it’s just too early in the day yet, but my brain can’t fathom a Jim Carrey/Christopher Nolan movie. Great to have this series back, Mark. And this includes some of my all-time favorites, too! Thanks Michael. You found some favourites here? It’s great to hear that, man. Jim Carrey as Howard Hughes, in a Christopher Nolan movie?!?!? Is it too late to get that back off the ground!?!?! I think that one might be done and dusted, man. It would have been interesting but I just can’t seem to picture it. I can’t much either, but it would have been very, very interesting. I do remember hearing about Nolan trying to get that project off the ground a couple of years ago, not with Carrey of course, but I think he’s sort of brushed that aside for Interstellar. Which hey, I’m totally fine with. Yeah, I think now that Scorsese has managed The Aviator, I doubt Nolan will be going back there. Interstellar will do nicely, though. I’d love to see that original version of Ghostbusters! They could probably do that now without it costing so much. That might be where they go for Ghostbusters 3, it could be a way of getting round Murray not signing up. I don’t hold out much hope for Ghostbusters 3 without Murray. I just don’t think it’ll work. Who knows, though, they might pleasantly surprise us but I’d prefer that they just left it alone. Great set of trivia Mark, a day early too 😀 Wow, I didn’t know there’ve been so many planned Howard Hughes biopics! Very cool trivia about those shining eyes in Blade Runner. Sean Young is so stunning, too bad her career didn’t quite pan out. Yeah, I’m not keeping these posts to a particular day anymore Ruth. I’m that busy that I can’t commit to it by a set time. They should be appearing regularly, though. Whatever happened to Sean Young? I’ve not seen her for ages. Apparently she was a nightmare to work with, though, so I think she’s burned too many bridges. Yeah I heard that she’s difficult to work with and probably made some terrible role choices as well. It goes to show that work ethic is just as important as talent and looks, most especially for an actress. I also liked her in No Way Out. Haha! Glad to hear it Ruth. Yeah, I’ve seen Sean Young in quite a few good roles. She was great in The Boost with James Woods but, again, she was a nightmare on set. I think the last time I seen her was in Ace Ventura. The Nolan/Howard biopic would have been amazing. Who says we don’t need two? I’d still love to see it! Great post :). Who knows, man. It may happen but I doubt it. Scorsese pretty much sowed that biopic up but Nolan’s take would be interesting for sure. Great bits, Mark. It baffles me that so many people have tried to get a Howard Hughes movie. The Aviator is great, sure, but I just don’t understand the love for the man. Cheers Nick! I don’t see the appeal for the man either. He seemed like a pretty unlikeable individual but intriguing nonetheless. I’d much rather see a film about the Wright Brothers or Nikola Tesla. Tesla, especially, I don’t understand why we haven’t gotten a biopic of yet… Nolan should make it and bring back David Bowie from The Prestige. Awesome! Love numbers 1, 3, 4, 5, 7 and 10! LOL. I know! They’re pretty awesome. Loved number 3 and 9. I would have loved to see Kurt in Pulp Fiction…. 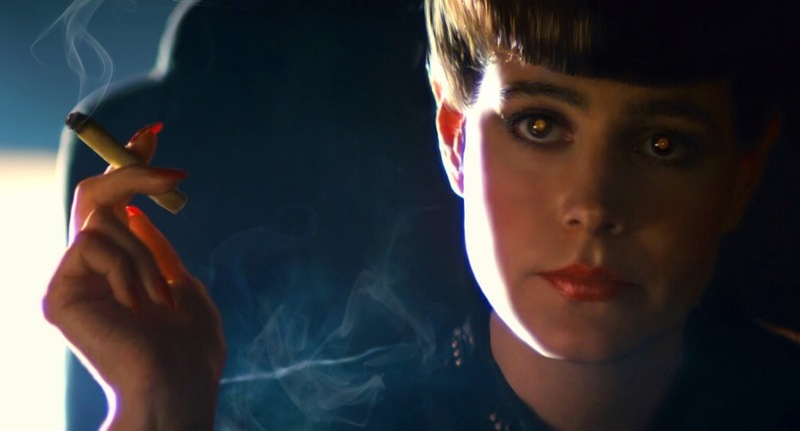 I was quite taken with the Blade Runner one as well Cindy. 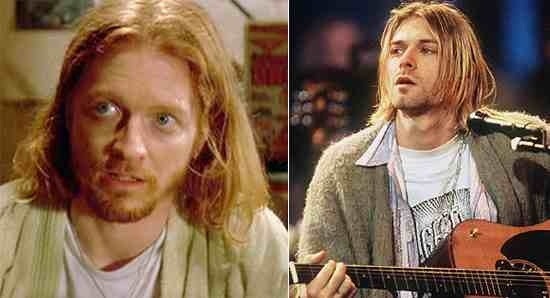 As for Cobain in Pulp Fiction, I could see that working. That would have a great little piece of casting. As it goes, though, Courtney Love was apparently talking nonsense. That does explain Lost Boys! Great write-up. Numbers 7 and 9 are my favorites. Also, now I can’t get that picture of Nic Cage out of my head. Haha! That Nic Cage picture is a little unsettling isn’t it? 😉 Cheers, man. More great trivia from the Master! 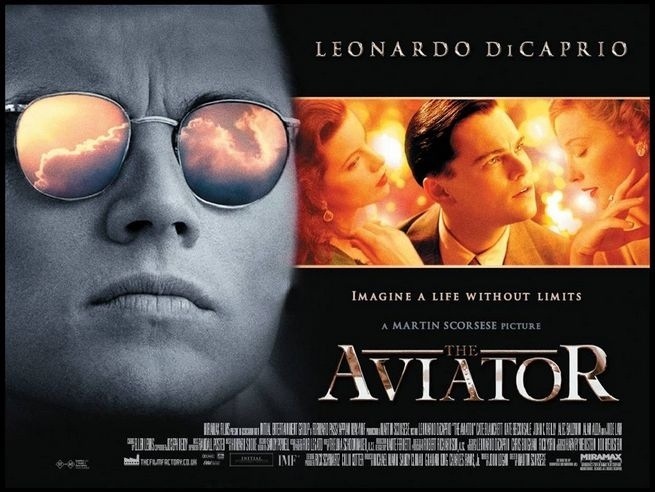 I thought Scorsese did a very neat and cool looking piece of cinema with ‘The Aviator’. One of the few films where I can see DiCaprio as an adult. Also enjoy the detail given to Hughes’ many aircraft designs. While all the ladies in attendance gave as good as they got! Caught ‘Citizen Kane’ last night on TCM. Lots of trivia about camera techniques, use of models and Welles’ signature angles swirl about that classic! Yeah, Scorsese done some fine work on The Aviator. As did DiCaprio. I really enjoyed the film and, as a result, don’t hold much more of a need for anyone else to be doing it. Job done as far as I’m concerned. I’ve included Citizen Kane in a few earlier posts but, like you say, there’s an abundance of trivia on that movie. It will no doubt feature again at some point. 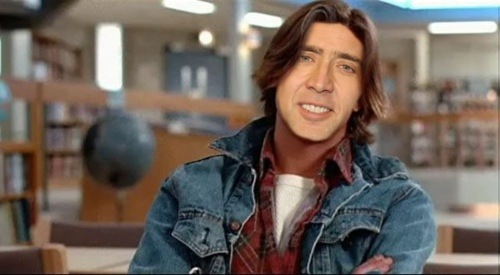 Nice work Mark, Cage in Breakfast Club might have been an improvement. 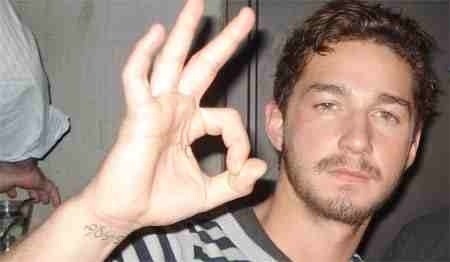 Shia doesn’t need any moonshine to be an asshat. Courtney Love is a moron. Cheers Adam. Despite not being a Judd Nelson fan, I’m not sure if Cage would have worked there. Can’t agree more on your Shia and Love points, though. Great read, the Blade Runner one was interesting. Cheers Vinnie. I learned something with that one too. Thanks James. Always nice to hear that somebody takes something from these. Excellent! I really, really feel for Guy Pearce there. I think he has definitely thrown off the “Mike from Neighbours” tag in the last 15 years!